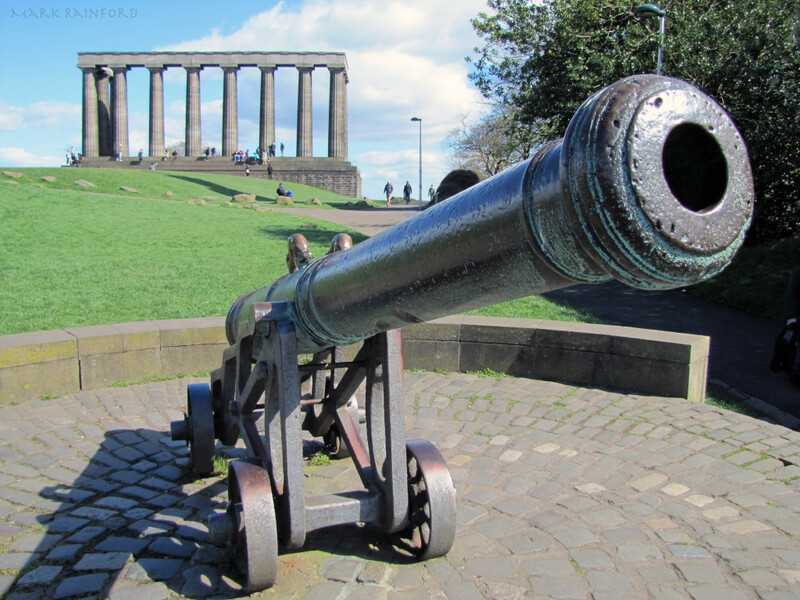 There is a lot of history behind this cannon, it is also a well travelled cannon. The Royal Arms of Spain is in cast relief on top of the barrel. The cannon was transported to the Portugese colonies in southeast Asia sometime before 1785. There is an inscription along side of coat of arms, written later, and is thought to be Burmese, as the cannon was once kept by a Burmese King. 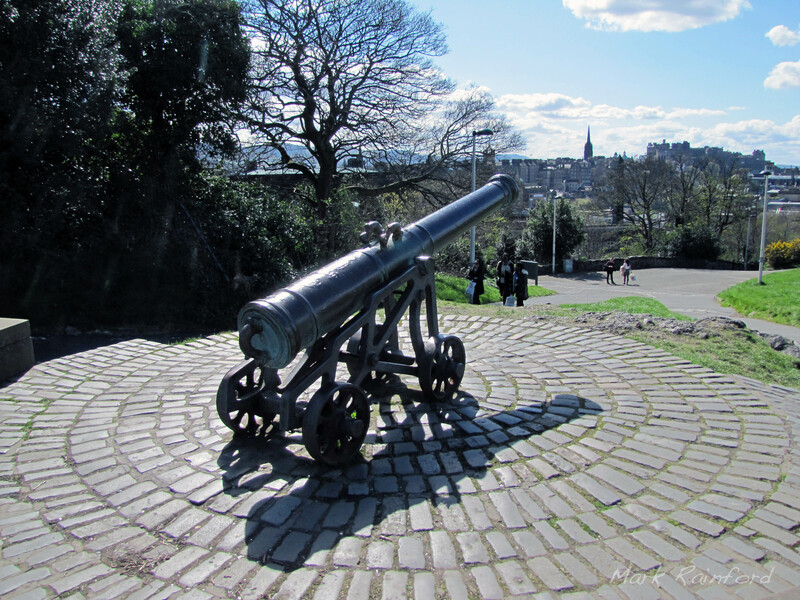 It was captured by the British during the invasion of Burma in 1885 and presented to Edinburgh in 1886.